One thing that you need to do with content marketing is to make sure that you actually have new and valuable content to market. So, write up some articles, publish them, make sure you consistently provide useful information to your audience, and establish your expertise on the topic you’re writing about. Don’t just create any content. Your content must be optimized for the search engines, using certain relevant keywords, in order to be found and read. Remember that we are working with search engines to attract more (and better-targeted) potential customers to your website. In this case, if you are not doing SEO for your content, if you are not optimizing the textual content you’re writing, well – you might be wasting a lot of time and effort. So before writing a single word, make sure you perform sufficient keyword research to help you through the search engine optimization process. Do you know what works best for your content marketing efforts? Persuasive and preselling content: this refers to the ability of your content to persuade your readers to purchase your product or find out more about what you have to offer. This isn’t a hard-selling tactic; keep in mind that you are not going to be forcing your readers to buy your product. What you should do is create compelling content that encourages your readers to take a look (at the very least) at what you’re offering. Preselling content means your content is only a way of “ushering” your readers to the metaphorical product display or shopping aisle; it does not mean composing a hard sales letter or an overly aggressive pitch. Your readers don’t read your article with vague intention. They want to look out for answers to their problem. So give them that information. Let them know how you can help them solve their particular problem. Not only does this help you reach out to your audience more effectively; it also helps you build more credibility and a better reputation (a couple of keys to successfully selling your product). Do not put all your eggs in one basket. 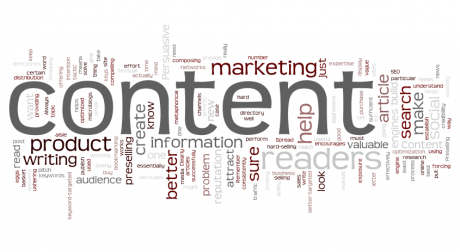 Content marketing is really about good distribution of your content. If you only post your content to one article directory or social media site, you’re essentially limiting your exposure. It’s better to spread your content to various channels, such as social networks, blogs / microblogs, social bookmarking sites, news feeds, and article directories. About the author: Besides internet marketing, Stuart Bishop also contributes to Yourloan.ca where you can get some interesting information on Personal Loans Canada as well as Debt Consolidation Canada. Content Marketing is one of those traffic building tactics that I like to use most of the time. Although to be really effective at making traffic for whatever it is you are trying to sell, you have to utilize every arsenal at your disposal(depending on the what the situation calls for). What I love most about a good written content is that it never fails to generate a substantial amount of traffic. Always create keyword-targeted content. This is probably one of the best advices. It is very important to have an optimized content. Great tips! It would be easier to increase traffic and build better reputation by following these tips. Creating good content is totally the key to achieve what you want for your business. I thought the web developers are the ones who make content of the site but I guess it should be the work of someone in the marketing department since they are the ones who have the knowledge about the company and its products or services.